We found a yoga place in Bandra that combines yoga with other workouts to give you maximum output, so meet Fusion Yoga, people. 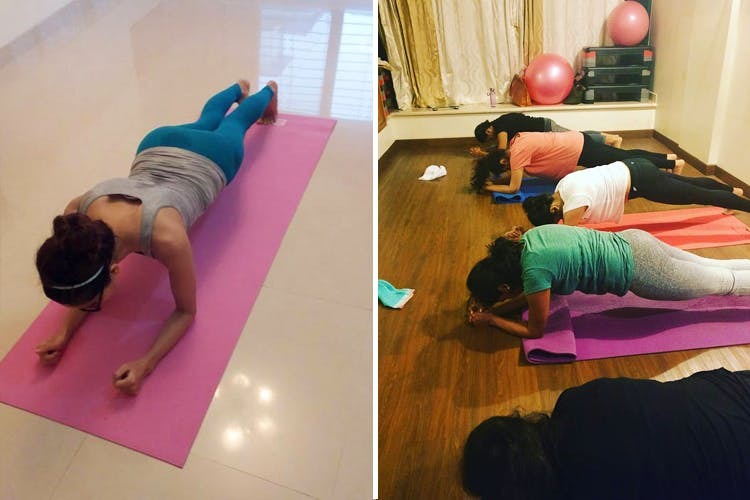 Fusion Yoga, located right opposite Rizvi College on Shirley Rajan Road is a studio that caters to people who like to mix up their workouts. If you’re the one who gets bored easily if you commit yourself to one particular type of workout, then this is for you. The combinations they use range from traditional ashtanga yoga mixed with matt pilates, power yoga, a combined workout where you do power yoga and functional training, and high intensity cardio. Run by trainer Payal Jashnani, we’ve heard rave reviews about this one. If you book your membership through Fitternity, you’ll be treated to massive discounts currently. 12 sessions a month will cost you INR 1,999 and 20 sessions a month, will be at only INR 2,999. The great thing is, you can redeem your number of sessions against any of the classes, not limiting you to stick to one particular workout. And, you have forty days to redeem them. Skipped a class? Use it in the next session! Since most of us do get bored after doing one thing repeatedly, this seems like a good option to get in shape while avoiding boredom.